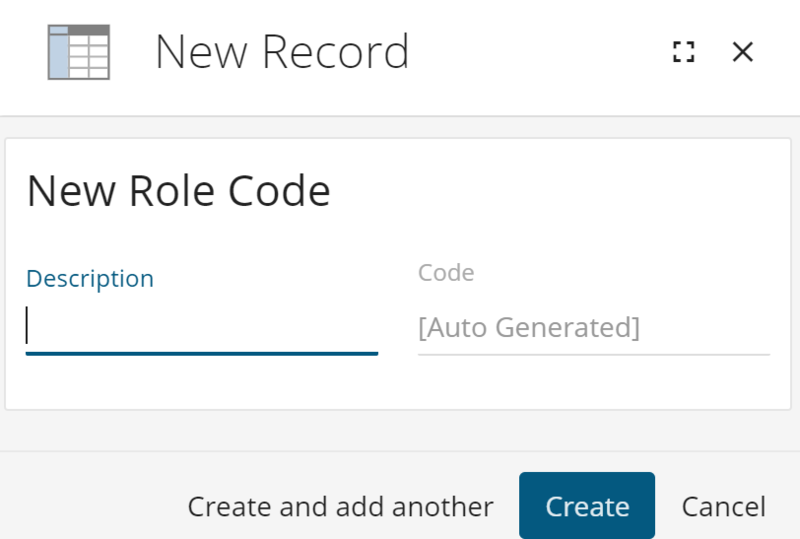 This article outlines how to configure the role code drop down menu. Every contact has a job title which only has a real meaning within their organisation. Prospect 365 has a Role field on a contact that allows you to categorise them based on their relevance to you. For example, a contact could have a job title of Managing Director, CEO or Sales Director etc. but to you they are all just “Decision Makers”. When marketing you can easily filter contacts to only include decision makers rather than having to guess the many possible job titles your customers and prospects may have. 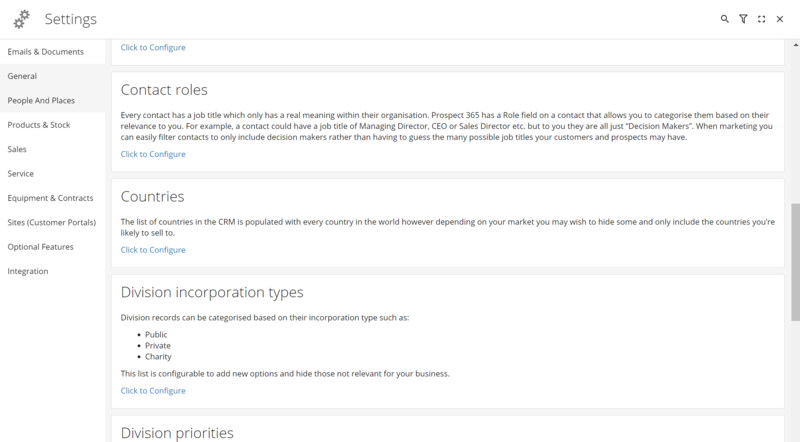 In order to configure drop down menus within the CRM, you must have the correct level of authority within the CRM. If you do not then please contact your Account Manager, or Key CRM User within your business. To edit your Contact Roles, click on the settings icon in the bottom left-hand corner. Once within the Settings Centre, navigate to the People and Places section & scroll down until you reach the Contact Roles configure option. By selecting the 'Click here to Configure' link the Configure Contact Role window will open. Within this window all of your current Contact Roles will be listed. To add a new one click on the + icon in the top right-hand corner. You will now be able to start filling out information about your new Contact Role. The description should be relevant for all CRM users & helpfully summarise the Contact Role. Once happy with the information entered click 'Create' & your new Lead Source will be created. To obsolete any old Contact Roles, click on the pencil icon for the required Contact Role & click 'Obsolete'.